Mobile users have high expectations for a seamless user-experience when interacting with your dealership website and a low tolerance for slow mobile experiences. How low is their tolerance? 31% of users reported abandoning a website on mobile if it didn’t load within 1 second. Changes to Google’s search algorithm also gives more weight to the load time of websites. With SEO and user experience in mind, it’s more important than ever to ensure your website is mobile-friendly. If Google is making changes for mobile users, your dealership should be following suit. 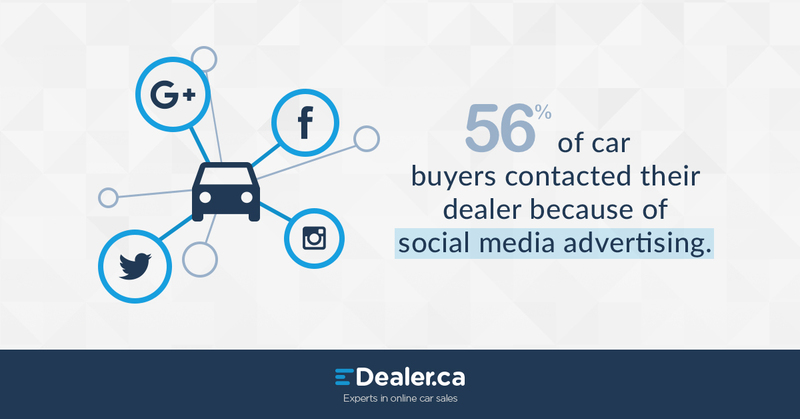 The goal of every dealership when it comes to digital marketing is getting in front of car shoppers with the right ad creative and offer at the right time. With the same goal in mind targeting an increasingly mobile user, here are 4 very powerful ways to reach car shoppers. Search on mobile devices has recently surpassed desktop search, and the number of searches taking place on mobile is only expected to increase year-over-year. Google AdWords gives advertisers the ability to target mobile devices with ads, increase bids for certain mobile devices and customize creative messaging for mobile devices. Users can click to your mobile-friendly dealership website and call the dealership directly from your ad. Display ads, such as the new Responsive Image Ads, can appear throughout Google’s Display Network which includes millions of websites and third-party mobile apps used frequently on smartphones. A huge chunk of time spent online with mobile devices takes place on social media. These platforms don’t just connect people to other people, they are also incredible CRM platforms that connect brands to people, and people to brands. Facebook offers a variety of different ad types that can be customized to match business goals such as Lead Generation, Offer Claims or Website Clicks. Interested in Brand Awareness? They do that too. Advertisers can choose to advertise in mobile News Feed’s only, or Instagram only, but like AdWords, Facebook also does a good job of advertising on third-party applications as well. Video is the single most popular type of content to consume on mobile devices. 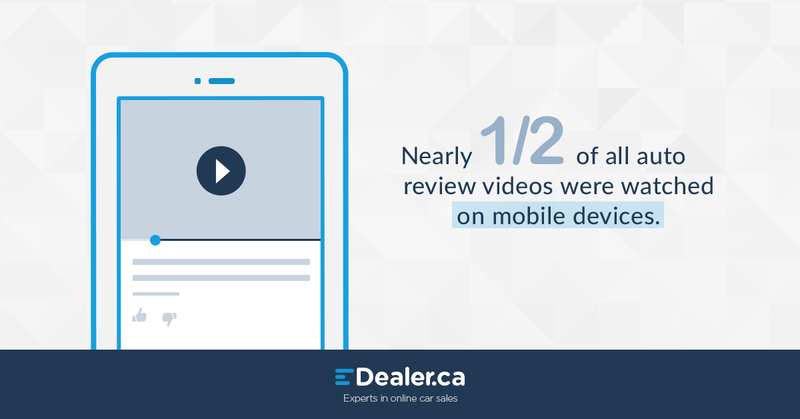 Video offers a creative platform for dealers to portray their personality, showcase their inventory and connect with car shoppers on an audiovisual level that is becoming increasingly difficult on television. Advertisers can use Google AdWords to reach the worlds second largest search engine, YouTube, and can also make use of Facebook, Instagram and Twitter to connect with a social audience. Don’t want to shell out a tonne of cash for a video? Use your iPhone to shoot and edit your own video ad using Youtube Director for Business. 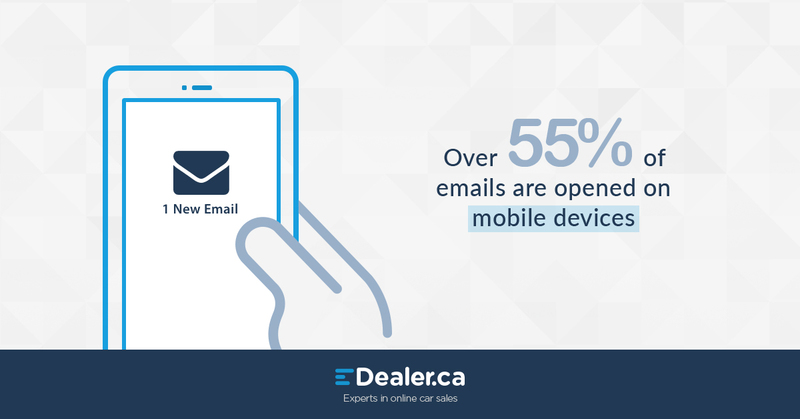 Over 55% of email is now opened on mobile devices, it’s safe to say that reaching mobile users with email should be an important part of your dealerships mobile strategy. By timing emails with personalized messaging for mobile devices dealers have an opportunity to re-engage their contact list and expand their subscribers. Advertisers have a number of tools at their disposal to help with email marketing. Free tools like Mailchimp and Constant Contact allow for bulk, customized email (with some limitations) and many CRM tools like Salesforce offer integrations to manage customer and prospect relationships efficiently with email on mobile devices. Google has also jumped on board offering Gmail Ads, sponsored email which shows up in the Promotions tab of Gmail users. 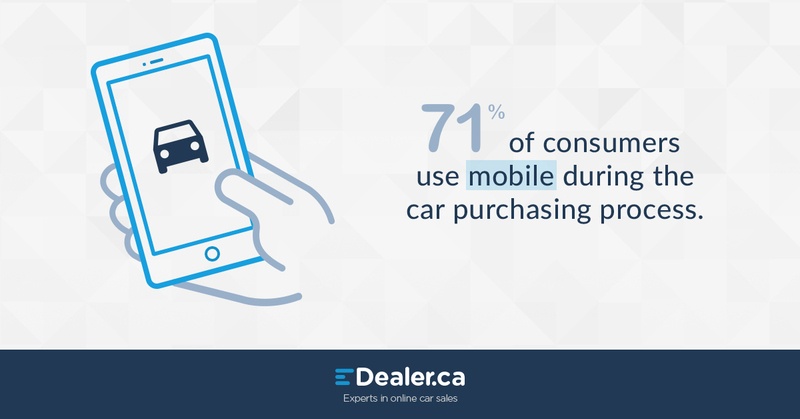 Ready to PowerUp your digital marketing to get in front of car shoppers on mobile devices? 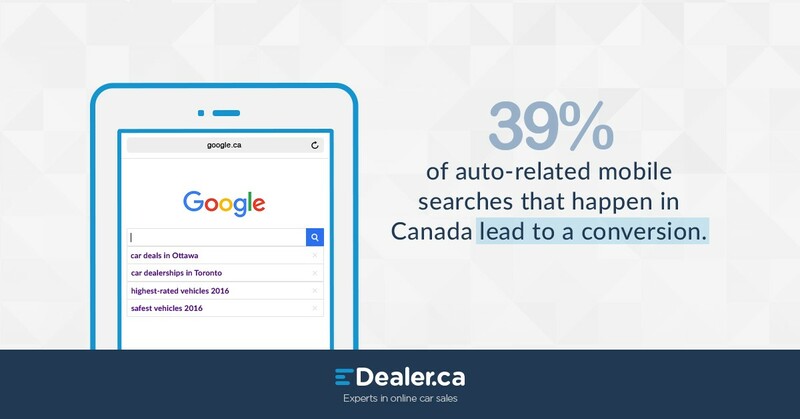 We offer a variety of digital and online marketing solutions for car dealerships across Canada. To get your inventory in front of car shoppers on mobile sign up and spend $25 on Google and we’ll give you $100 in free ads or commit to a 2 month spend with us on Facebook and you could be eligible for up to $500 in free ads.